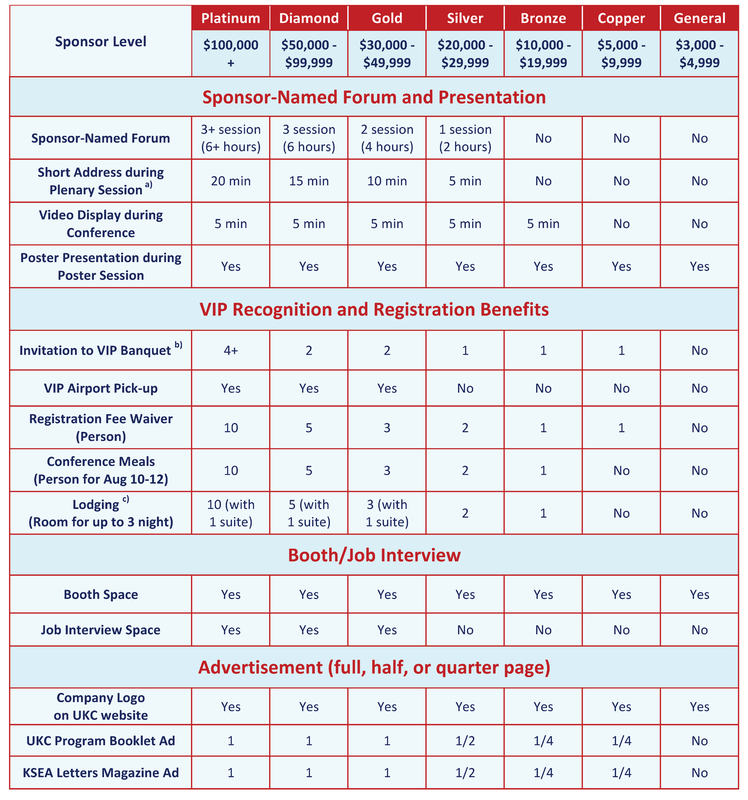 UKC2017 sponsors have the exclusive opportunity to expand their presence before, during, and after the meeting by securing a variety of advertising and sponsorship opportunities. The sponsor guide provides an overview of the available opportunities. For more information, about customizing a particular sponsorship or developing a sponsorship package tailored to your needs, please contact organizers at ukc2017sponsors@gmail.com. (a) Short address during plenary session is only offered to President level personnel. (b) Limited quantity of of extra banquet tickets can be purchased for a Copper and higher level sponsor. (c) Room at Hyatt Regency Crystal City Hotel is provided up to 3 nights at the group rate. As KSEA is a 501(c)3, your contributions are tax deductible.